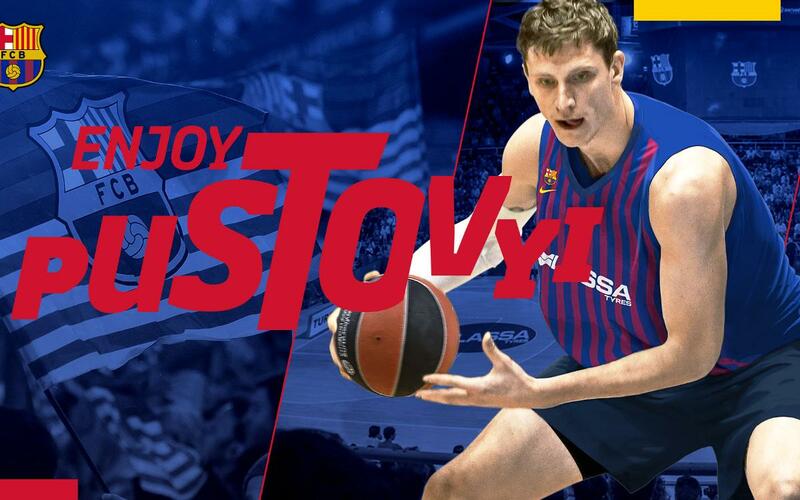 Ukranian international center Artem Pustovyi is the fourth player to join Barça Lassa this summer, in a deal that will see him at the club for the next three seasons. The club and Obradoiro CAB have reached an agreement to bring the 26-year-old, who measures 2.18m tall, to the Palau Blaugrana. Pustovyi came to Spain in 2015, having won a league title and debuted in the EuroCup for Khimik in his homeland In his three seasons with Obradoiro, he played 94 games with an average of 8.4 PPG and 4.1 RPG. Last season was one of his most successful to date, as he reached 11 PPG, 6 RPG, 1.9 blocks per game and an average performance rating of 14, allowing the team to comfortably seal survival. On the international stage, he played in the Eurobasket tournament in 2017, impressing with stats of 15.3 PPG and 6.5 RPG.